Finnish interior designer Eero Aarnio, well known for his plastic and fiberglass chairs, has furnished his home with colourful plastic furniture, including his famous ball chairs. 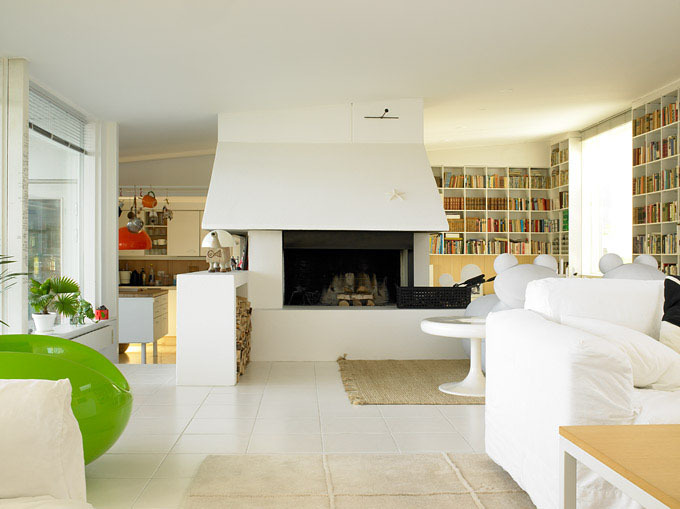 The colourful plastic furnishing highlights the white canvas with a modern touch. The colours are cheerful without being overwhelming.